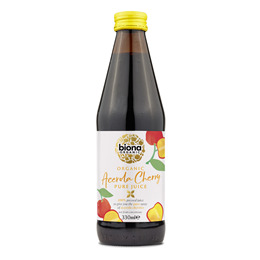 Made from 100% pure pressed organic acerola cherries and nothing else to give you the pure taste and benefits of this vitamin C rich fruit. Not from concentrate. Enjoy its mellow, tart taste mixed with water or your favourite juice. Can also be added to yoghurt or or as a tart topping with muesli. 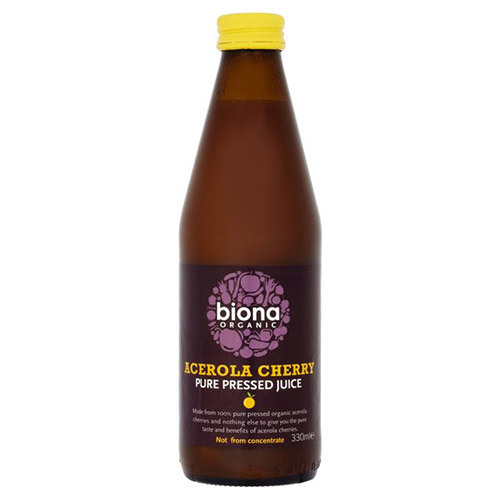 Below are reviews of Biona Organic Acerola Cherry Pure Pressed Juice - 330ml by bodykind customers. If you have tried this product we'd love to hear what you think so please leave a review.